A precision agriculture application which helps organic farmers apply compost to the parts of the field which need it most. Precision agriculture is developing fast throughout mainstream agriculture. We wanted it to serve organic and agroecology farms and bring those into the mainstream. So, we asked ‘How might we develop an application for precision agriculture which was also aligned to agrobiodiversity outcomes’. 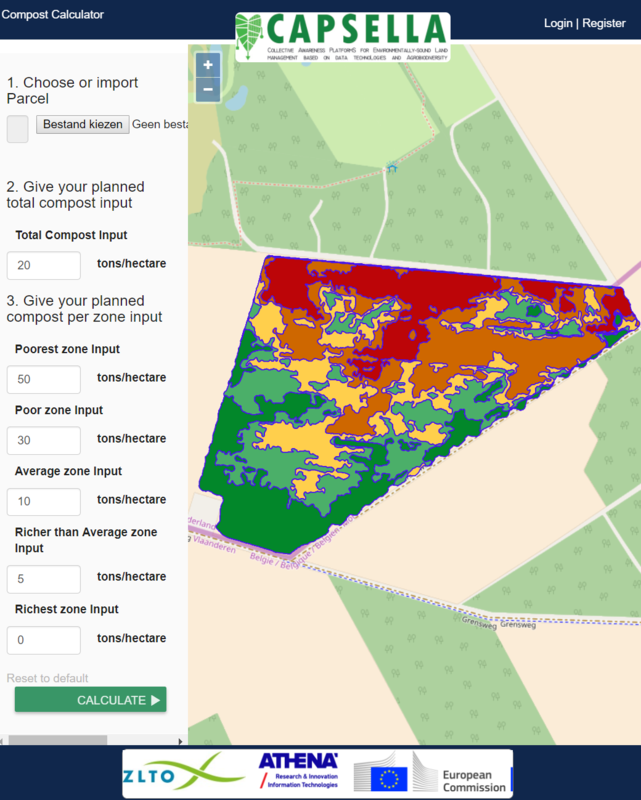 Precision agriculture is broad but by observing and working with some lead users in the field, we realised that developing a tool to support the upgrade of soil life and soil organic matter would make a huge difference. And so, the compost calculator was developed. Compost is a voluminous product, so it needs to be applied where it’s needed most. Speaking with and observing farmers it became clear they needed quick and easy way to know how to apply it where it’s most needed. we therefore developed the web application to calculate the amount of compost per level of organic matter content in the soil. On the poorest zones it helps to apply a considerable volume, not suffocating soil life. On the richest zone, none should be applied. The sole responsibility of the material published in this website lies with the authors. The European Union is not responsible for any use that may be made of the information contained therein.